Harold Abrahams and Eric Liddell's victories in the 100 and 400 metres respectively in the 1924 Olympics are surely the best chronicled athletics performance ever after it they were immortalised in the Oscar-winning 1981 film Chariots of Fire. Liddell, son of a Church of Scotland minister, refused to run in the 100m at the Games because his devout Christian beliefs would not allow him to race on a Sunday. He then switched to the 400m instead and broke the world record in recording a famous victory. He declined to defend his title, becoming a missionary instead, and after devoting his life to the church, he died of a brain tumour in a Japanese internment camp in 1945, aged just 43. For the sake of dramatic effect, the film shows Liddell beating Abrahams in a 100m race in London. It was a fictitious event based on the 1923 AAA's championship (the pair never met over 100m), but it allowed the film -makers to make a point - that in their opinion, Liddell was the better sprinter, and would have won gold in the Olympic 100m ahead of Abrahams but for his religious beliefs. Other parts of the Liddell story the film skips over include his refusal to run in the 4x100 and 4x400 relays because the heats were also on a Sunday, as well as the stinging criticism he received for being a "traitor" to Britain's cause. Not much is made either of his rugby career, which won him seven caps on the wing for Scotland. Abrahams employed a professional coach Sam Mussabini - which raised eyebrows among the establishment's blue blazer brigade. Encouraged by his elder brother Sidney - himself an accomplished athlete who competed in the 1908 and 1912 Games - the Bedford-born sprinter pursued his dream. Nervous and tense in the final but highly confident, his winning time of 10.6sec saw him become the first European and only Englishman to take the sprint crown until Linford Christie's victory in 1992. The Games had something of a film theme, as America's Johnny Weissmuller, winner of two swimming gold medals, was later to find fame in Hollywood as Tarzan. The biggest star of the Olympics, though, was the Finnish runner Paavo Nurmi, winner of five gold medals to add to the three he had won in Antwerp four years earlier. These included winning the 1500m and the 5000m less than an hour later. It was a fitting end to Baron Pierre de Coubertin's reign as president of the International Olympic Committee. 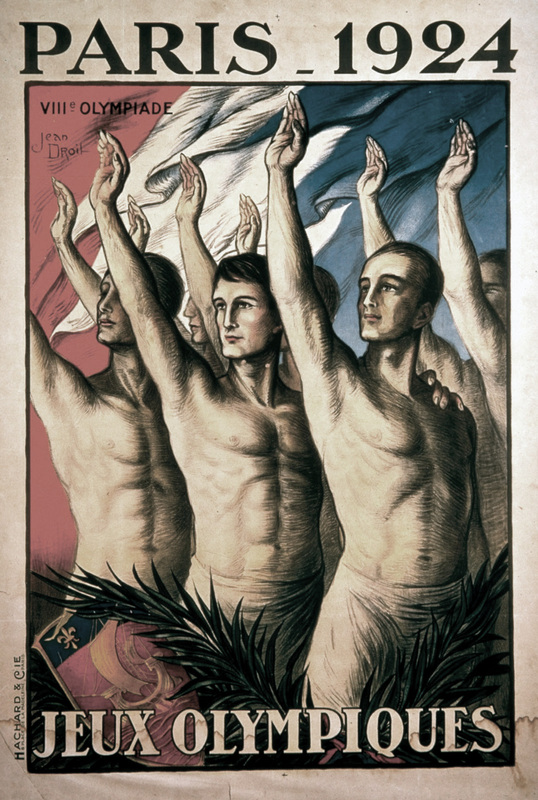 He was due to retire in 1925 and badly wanted to erase the bad memories of the disastrous Paris Olympics of 1900. All the action took place in the Stade de Colombes, a stadium built on the site in 1907 and remodelled for the 1924 Olympics. The Games have been seen as the last flourishing of a golden age of amateur sport when the motto of the Games, Citius, Altius, Fortius - Swift, High, Strong - was first used. Its cinder track was once among the fastest in the world, while the pitch, overlooked by stands for 60,000, had its most infamous moment in 1938, when the soccer World Cup Final was marked by fascist salutes as Italy beat Hungary 4-2.